This Main Beach landscaping project sits just streets away from the Gold Coast’s iconic Surfers Paradise. 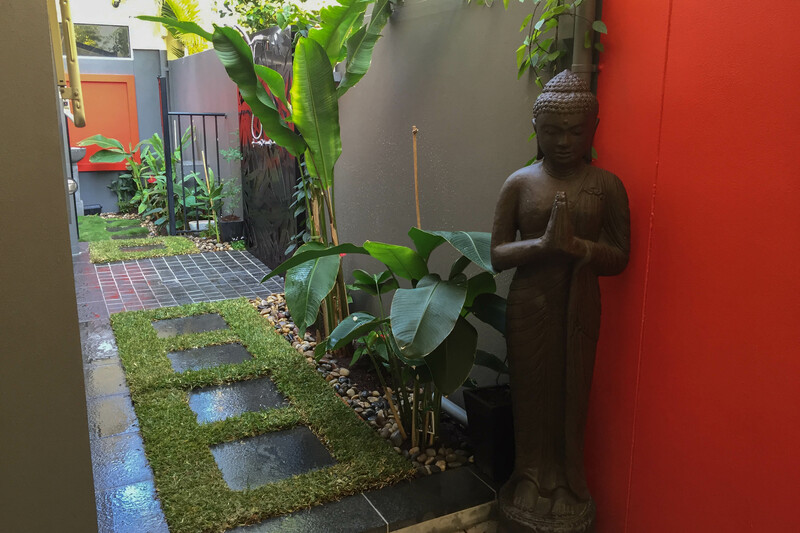 This narrow building with its wrap-around courtyard gardens got a new lease on life with bold splashes of red and a lush tropical planting theme. A narrow space around this 3 story terrace home posed a creative challenge for Grotec’s design team. The Main Beach landscaping client’s brief required usable space for the large dog as well as garden spaces that provided screening and privacy where possible. To kick things off, a bright red colour featured inside the home was selected and painted onto the Alfresco fence line wall. 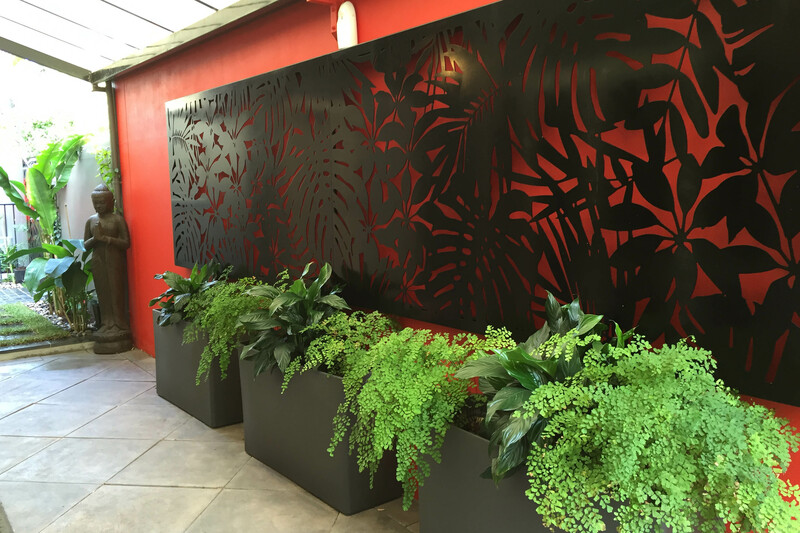 This red feature wall was then highlighted with a 5 metre long black laser cut screen and 3 large planting troughs which contained a selection of shade loving plants. 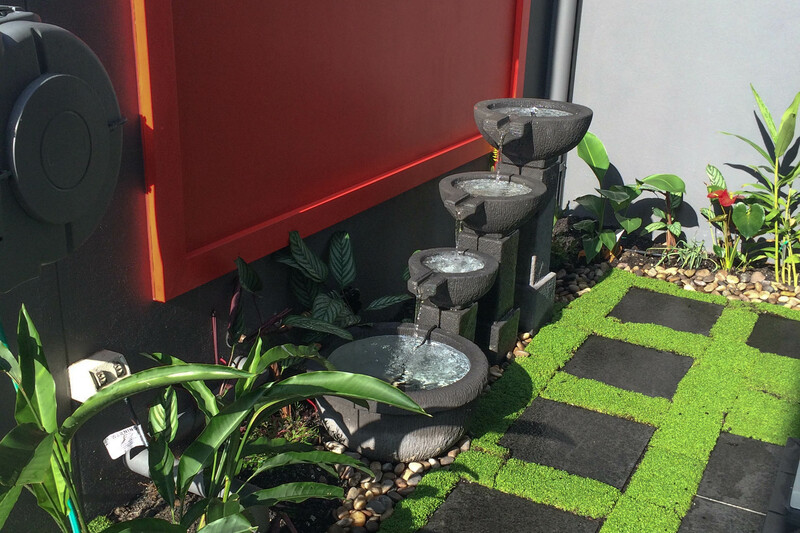 The brick perimeter fences were painted in a charcoal grey which contrast perfectly with the lush, leafy tropical themed gardens that wrap their way around the home. 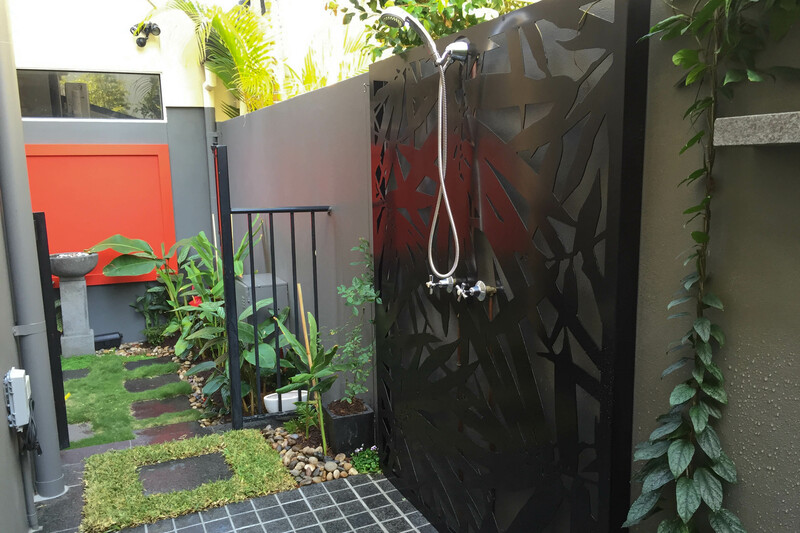 Granite pavers lead you around the side of the home to an outdoor shower which also features a lazer cut screen. A stainless steel wire trellis that leads from the front entry security gate to the porch was created to support star jasmine climbers planted in troughs and provide a fragrant, leafy alternative to the boring brick dividing fence between the neighbouring terrace home. 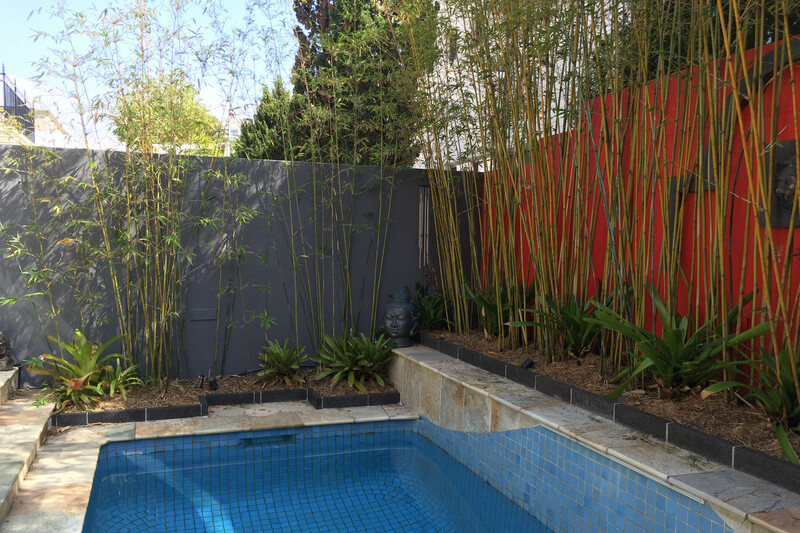 Existing Bamboos planted in gardens around the pool to provide screening were edged with granite and brought to life by planting Bromeliads at their base. Two varieties of Bougainvillea have been retained and are being trained onto a supporting trellis to provide security and gorgeous bright colours in this small recreational space adjoining the gym at the rear of the home.